Merry Christmas my dear readers! This is one of my favourite festivals of the year after Durga Puja and Diwali! I know that its a winter festival but I wish it was a bit warmer! I hate foggy mornings and overcast skies. Long story short, this is our first Christmas with our daughter. Therefore I am a little more excited! 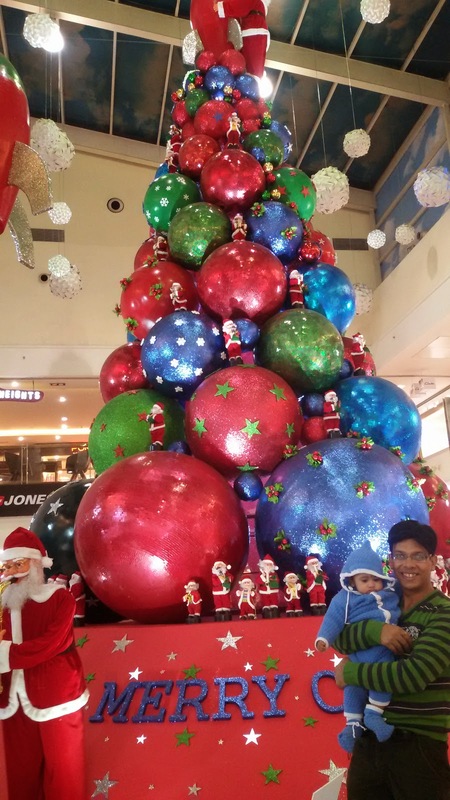 Christmas celebration for me starts from the beginning of December when the malls put up their trees. I love to go to every single mall in Delhi to see their festive decorations and believe me Delhi has a HUGE number of malls! My partner in crime does not get excited during this time of the year though he had studied in a missionary school all his life. He accompanies me to most of the places nonetheless. But this year it has been different; difficult rather. My parents had gone for a long vacation after we came back from Goa and hence my trusted baby sitter was missing! I love ur outfit...especially the colour. n ur girl is supercute. I love your sweater! Merry Christmas! Hope you had a fabulous Christmas! I love these photos. And I like seeing you in sneakers. Anyway, hope your ankle gets better soon! Bela simagens arrasou, Desejo para voce que mim segue no blog, fan page, facebook e curte o meu canal, anônimos e amigos eu desejo 2015 com muito SUCESSO, não adianta desejar feliz ano novo se cometermos os mesmos erros do ano velho, que sejamos mais sábios, mais autocríticos e fazer as coisas por merecer, eu desejo para mim e para todos que faz parte do meu dia a dia, Feliz Ano Novo, que este ano seja superado pelo velho em felicidades, amor, esperança, fé, paz e que o ano seguinte seja em dobro, tenha um feliz e prospero ano novo. Que DEUS reine em cada vida e que DEUS seja o primeiro em tudo nas suas vidas.